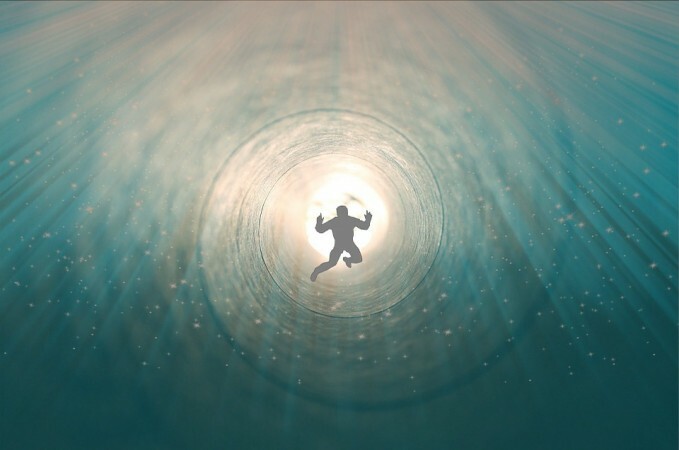 The woman who faced near-death experience (NDE) strongly believe that life after death (afterlife) is a reality. All holy books including the Bible, Quran and Bhagavat Gita state that life after death is a reality, and humans begin their eternal journey only after taking their last breath. Even though medical science has not found solid proof of that substantiates the view narrated in these holy books, many people who faced near-death experience (NDE) claims that afterlife is a reality, and people will live in the form of souls after their death. Now, a woman named Serena has shared her near-death experience testimonial on NDERF (Near Death Experience Research Foundation) website and it has emerged as the hottest debating point among spiritualists and medical experts. In the testimonial, Serena has shared her NDE experience while she was just two years old. Sharing her NDE, Serena revealed that she saw her grandfather during the time of her death. The NDE victim also claimed to have seen a bright light that does not hurt eyes during those moments. "This light was extremely beautiful and heavenly. The light was extremely bright and yellow, but yet dim. I can describe it best if you can imagine an extremely bright light that does not hurt your eyes. This light was surrounding everything. It felt as if my visual area was very restricted. I could not see the start and the end of the light, I could only see right in front of me. In the centre of the light, there was my grandfather,'' wrote Serena in the NDE testimonial. Serena also added that her grandfather was very happy to see her, and he apparently smiled at her. "My grandfather looked so happy. He was smiling very brightly, looking at me with tender and loving eyes, like somebody who truly loves me. I think the smile was open, in the sense that he was showing his teeth, so, it was a huge smile," added Serena. Serena also made it clear that the entire near-death experience was quite pleasant, and she lost awareness of her body. Even though spiritualists consider the experience of Serena an irrefutable proof of an afterlife, experts have brushed aside the view, and they claim that it is a property of the human brain that is resulting in these visual hallucinations. As per medical experts, during the time of life-threatening events, oxygen supply to the brain will be reduced, and at this time, the human brain embraces a survival technique which is the root of all these visual hallucinations.